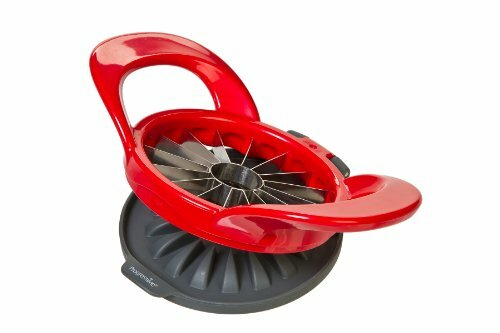 The Thin Apple Slicer from Prepworks by Progressive is a quick and safe way to easily core and slice an apple. With the Thin Apple Slicer it's as easy as push, flip and pop. Place apple on countertop, stem side down. Simply push the prep works thin apple slicer blades down over the apple, flip the protective cover underneath and pop the apple slices the rest of the way through the blades. For over 40 years, our mission has been to create innovative kitchen tools and gadgets that make food preparation fun and fast while inspiring culinary creativity. From our thinstore™ collapsibles to our sophisticated PL8™ line, our dedication to providing quality products supported by superior customer service continues to drive our creative development today. Prep Solutions;, Prepworks and PL8 continues to build on the Progressive; legacy by offering products that make food prep faster, easier and more enjoyable.